The Assumption of the Blessed Virgin Mary, which we celebrate on August 15, is the dogma most recently proclaimed by a pope infallibly. Pope Pius XII did so by promulgating an apostolic constitution on All Saints’ Day of the Jubilee Year 1950. In the document (entitled Munificentissimus Deus), Pius defined the dogma of the Assumption by an ex cathedra pronouncement—that is, an authoritative teaching “from the chair” of Peter. In his teaching, Pius XII explained that defining the dogma of the Assumption would benefit the faithful by strengthening their devotion to Our Lady in the midst of tumultuous times. Just coming out of the aftermath in Europe from the Second World War, Pius noted how Catholics clung to the Blessed Mother for refuge. In 1946, not long after the end of hostilities, Pius had sent a letter to all the bishops of the world. Though the pope could make an ex cathedra pronouncement without the assistance of the bishops, Pius XII sought to follow the example of Pius IX, who had consulted the bishops of the world prior to defining the dogma of the Immaculate Conception. The letter to the bishops, Deiparae Virginis Mariae, later promulgated as an encyclical in 1950, was given in response to a popular petition for a definition of the dogma. 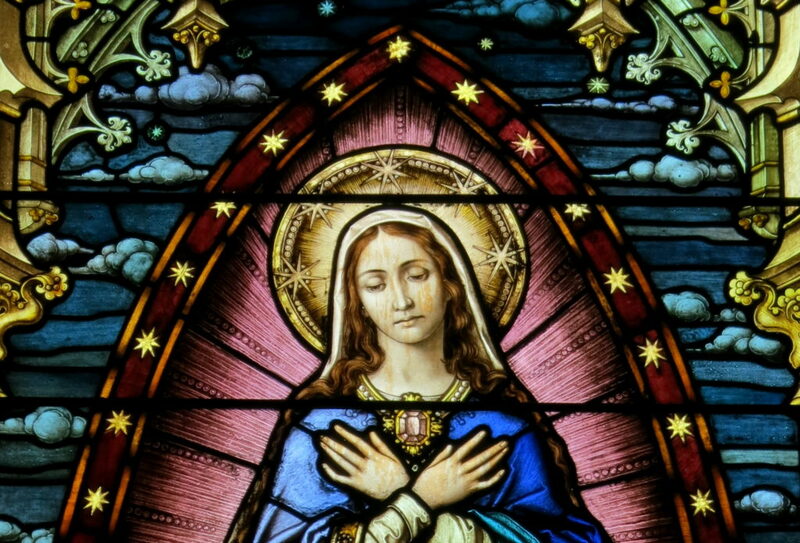 Pius XII recalls (in Munificentissimus Deus) the close connection of the dogmas of the Immaculate Conception (that the Blessed Virgin was conceived without original sin) and her Assumption (that she was taken up to Heaven, body and soul, without seeing corruption). This is because the corruption after death is a penal effect of original sin. If the Blessed Virgin lacked original sin, then her body must have escaped corruption. Thus, ever since the proclamation of the Immaculate Conception in 1854, there was a public outcry for the pursuant dogma of the Assumption to be definitively proclaimed. Pius XII speaks of there being two whole volumes recording the letters received from the faithful requesting a proclamation. Furthermore, many of the bishops of the First Vatican Council, which was ended abruptly because of war in 1870, expressed favor for the Assumption being defined. Already, the Assumption was celebrated as a feast on the Roman calendar on August 15 and belonged to popular devotional consciousness in the Fourth Glorious Mystery of the Rosary. 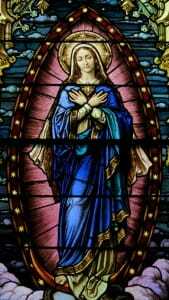 Many churches had also been named in honor of Mary’s Assumption. Above is an example of the successor of Peter listening closely to and interpreting the sensus fedelium, or the supernatural sense of the faithful for the Church’s traditional teaching. It is also an example of the pope discerning a doctrine as being taught by the ordinary and universal Magisterium—that is, taught faithfully by the bishops throughout the world and throughout history. Pius simply elevated the teaching to a still higher and clearer level of authority—an infallible papal pronouncement, specially guaranteed by the Holy Spirit. Such a pronouncement would make clear for the faithful that this teaching is (and always has been) part of the deposit of faith received from Scripture and Tradition. Certainly, the recent experience of this process of defining the Assumption was fresh in the minds of the fathers of the Second Vatican Council in later teaching on the various levels of infallibility in the Church, supporting and interpreting the Word of God in Scripture and Tradition (Lumen Gentium, no. 25). Though supported by Scripture, the Assumption is clearest from Tradition. Thus Pius XII first explains the reasoning for the Assumption from the way in which the Church throughout history has prayed and taught. One of the principles for discerning Sacred Tradition has been classically articulated as lex orandi, lex credendi – “the law of prayer is the law of belief.” Thus the way the Church traditionally prays shows how the Church believes. Many ancient liturgical books celebrate the Assumption, including the ancient Gallican sacramentary, which states, “an ineffable mystery all the more worthy of praise as the Virgin’s Assumption is something unique among men” (Munificentissimus Deus, no. 18). Popes from early centuries, including Adrian I, Leo IV, and Nicholas I, showed official papal approbation for the celebration of the Assumption of Mary, which was already long established (no. 17, 19). Furthermore, the Assumption of Mary was held and celebrated universally in the Eastern Church. Numerous Church Fathers also taught on the Assumption, including St. John Damascene, who held that the love of Christ for his mother moved him to preserve her from corruption after death (no. 21). Damascene writes, “It was fitting that she, who had kept her virginity intact in childbirth, should keep her own body free from all corruption even after death. It was fitting that she, who had carried the Creator as a child at her breast, should dwell in the divine tabernacles” (quoted in no. 21). Pius XII also notes support for the Assumption among the Scholastic theologians and in the devotion of the saints throughout history. Pius recognized numerous Scriptural allusions to the Assumption. Though the event of the Assumption is not explicit in Scripture, it is consistent with what Scripture teaches us about the effects of sin and Jesus’ love for his holy mother. The Assumption can be seen in Scripture through typology and symbolism. In the First Reading for the Solemnity of the Assumption we read, “God’s temple in heaven was opened, and the ark of his covenant could be seen in the temple. A great sign appeared in the sky, a woman clothed with the sun, with the moon under her feet, and on her head a crown of twelve stars” (Revelation 11:19a, 12:1). Here the Ark of the Covenant is associated with the apparition of a glorious woman. Likewise in the Gospel Reading (particularly Luke 1:43-45), Mary is associated with the Ark of the Covenant, since her cousin Elizabeth greets her with almost the same words used by David when the Ark came to him (2 Samuel 6:9, 14). Pius XII also quotes Psalm 132:8, which has often been read symbolically of Mary’s Assumption: “Arise, O Lord, into your resting place: you and the ark, which you have sanctified” (no. 26). At the end of his Apostolic Constitution, Pius XII provides the ex cathedra definition of the Assumption: “we pronounce, declare, and define it to be a divinely revealed dogma: that the Immaculate Mother of God, the ever Virgin Mary, having completed the course of her earthly life, was assumed body and soul into heavenly glory” (no. 44). He also expressed hope that the definition of this dogma would increase the fervor of the faithful in devotion to Mary and inspire them to follow her purity of life, knowing more clearly the rewards of fidelity to God’s grace. Likewise, in our day, full of its own uncertainties, we can take the solemnity of Mary’s Assumption as an opportunity to turn to the Blessed Mother and hope in the promises of God to which she aspired. What does Mary’s Assumption mean for you in your life of faith? Licensed photo is by Nheyob.